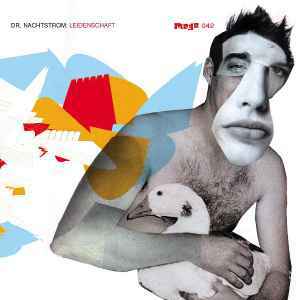 After his vinyl debut "17 Songs after Midnight" (MEGO 028) in 1999, we are proud to present the long awaited follow up by the good Dr. Nachtstrom entitled "Leidenschaft" featuring some major musical changes. The new material is more song based, with the exception of three instrumental/sample based tracks. Vocal duties are performed by new talents like Edith Gießauf or Zoe from Graz, as well as the more known voices of Christian Fuchs (Fetish 69) and Gerhard Potuznik, who sings a cover of Soft Cell's "Youth". Nachtstrom also makes his debut as a vocal performer, but as you might expect, his voice is distorted, fragmented and alienated, so don't get too excited. Maybe the listener is surprised to find such 'straight' popmusic on a label like Mego, but this is exactly why you should give "Leidenschaft" a try - the devil is in the detail and the music of Nachtstrom is far from being polished.